Pinching pennies • Billing errors, claims denials and disputes cause delays in care. 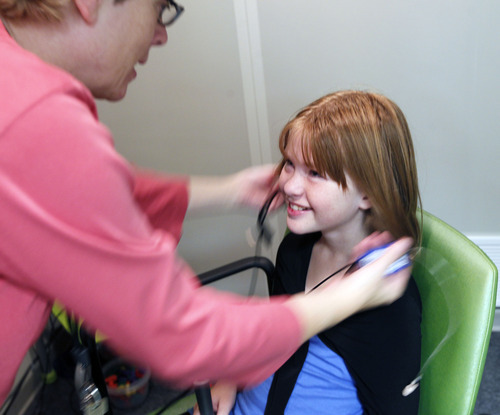 Al Hartmann | The Salt Lake Tribune Eve Yancery has her hearing checked by audiologist Nancy Hohler at Primary Children's Outpatient Services at Riverton Hospital Friday Ocotber 5. Loss of hearing is just one of the side-effects of her rare autoimmune disease, Cryopyrin-associated periodic syndrome (CAPS). Left untreated, the disease can cause chronic meningitis, or swelling in the brain. There's no cure, but with drugs the disease can be managed. They're expensive, though - about $20,000 a month - and getting the insurance company to pay for them is a constant struggle. 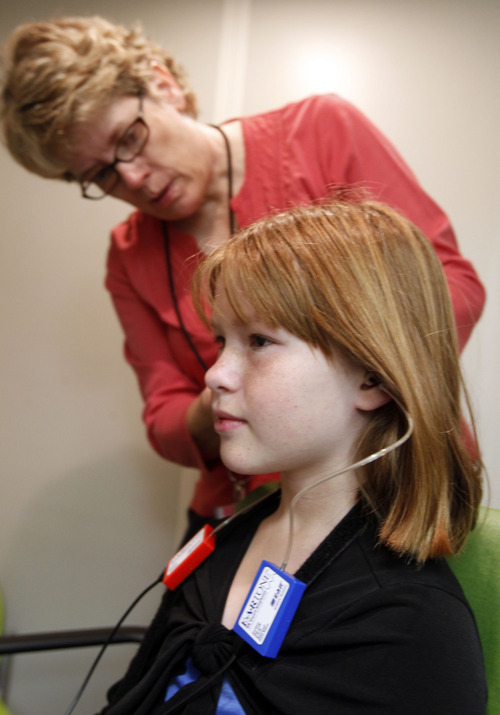 Al Hartmann | The Salt Lake Tribune Eve Yancery has her hearing checked by audiologist Nancy Hohler at Primary Children's Outpatient Services at Riverton Hospital Friday Ocotber 5. Loss of hearing is just one of the side-effects of her rare autoimmune disease, Cryopyrin-associated periodic syndrome (CAPS). Left untreated, the disease can cause chronic meningitis, or swelling in the brain. There's no cure, but with drugs the disease can be managed. They're expensive, though - about $20,000 a month - and getting the insurance company to pay for them is a constant struggle. Al Hartmann | The Salt Lake Tribune Eve Yancery puts her hearing aids in after having her hearing checked at Primary Children's Outpatient Services at Riverton Hospital Friday Ocotber 5. Loss of hearing is just one of the side-effects of her rare autoimmune disease, Cryopyrin-associated periodic syndrome (CAPS). Left untreated, the disease can cause chronic meningitis, or swelling in the brain. There's no cure, but with drugs the disease can be managed. They're expensive, though - about $20,000 a month - and getting the insurance company to pay for them is a constant struggle. Al Hartmann | The Salt Lake Tribune Eve Yancery puts her hearing aids in after having her hearing checked at Primary Children's Outpatient Services at Riverton Hospital Friday Ocotber 5. Loss of hearing is just one of the side-effects of her rare autoimmune disease, Cryopyrin-associated periodic syndrome (CAPS). Left untreated, the disease can cause chronic meningitis, or swelling in the brain. There's no cure, but with drugs the disease can be managed. They're expensive, though - about $20,000 a month - and getting the insurance company to pay for them is a constant struggle. 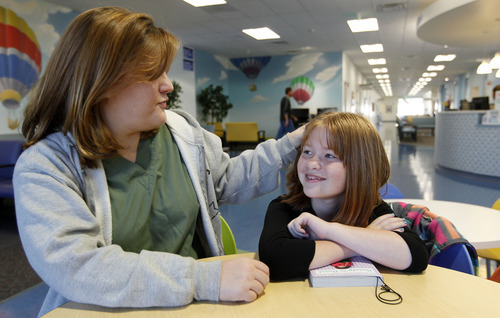 Al Hartmann | The Salt Lake Tribune Heather Yancery talks with her daughter Eve after having her hearing checked by an audiologist at Primary Children's Outpatient Services at Riverton Hospital Friday Ocotber 5. Loss of hearing is just one of the side-effects of her rare autoimmune disease, Cryopyrin-associated periodic syndrome (CAPS). Left untreated, the disease can cause chronic meningitis, or swelling in the brain. There's no cure, but with drugs the disease can be managed. They're expensive, though - about $20,000 a month - and getting the insurance company to pay for them is a constant struggle. Editor's note: This is a part of a package of stories about Utahns and medical debt. See Related Stories box below. 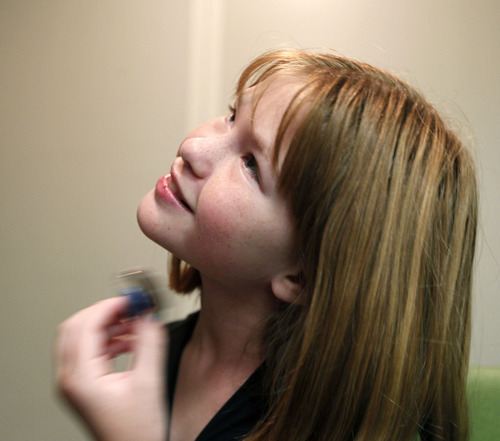 Eve Yancey spent her 11th birthday in the hospital  but she didn't have to. Chronic meningitis, or swelling in the brain, is just one of the side effects of her rare auto-immune disease, Cryopyrin-associated periodic syndrome (CAPS). A genetic anomaly causes Eve's body to overproduce a protein that triggers her body's immune response round-the-clock. Left untreated, the disease can also cause hives, severe gastro-intestinal pain, developmental delays and hearing loss. "In many ways we're lucky. 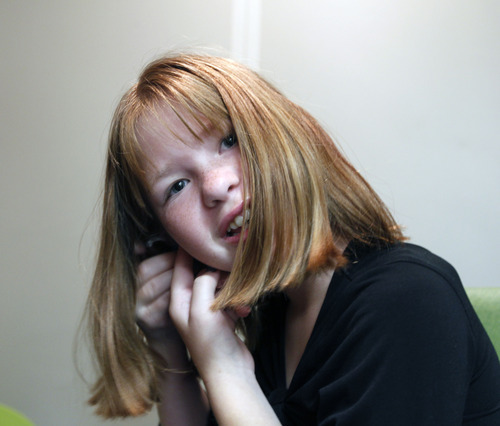 Eve has had no seizures and despite missing as much as school as she does, she pulls straight A's," said her mother, Heather Yancey, who has a milder form of the disease. But the injectable drug Eve needs costs $20,000 a month and getting insurance to cover it is a constant struggle. "It's gotten to the point where I'm about ready to call the insurer and say I'll stop taking my meds if you'll pay for my daughter's. I find it disgusting that I even have to consider that, but I'll do it," said Yancey, a registered nurse. "I work full time at a job with great health insurance. I'm doing everything you're supposed to do and I still get the shaft." Eve is a high-cost patient, so her mom understands why her insurer scrutinizes every claim. But tussles with her insurer have become more frequent and aggravating. Only recently did Yancey resolve a dispute over a $8,800 hospitalization from last January. "First they said we were out-of-network. We weren't. Then after we appealed, they questioned whether it was medically necessary," said Yancey. Despite getting prior authorization for a hearing aid earlier this year, the insurer is now refusing to pay the $3,000 price tag. Most recently, they balked at covering a higher dosage of Eve's medicine, resulting in her hospitalization, said Yancey. "Watching her close to death and feeling hopeless, it's one of those moments when you think, 'Should I rob a bank?'" said Yancey. After numerous phone calls to her insurer, Cigna, Yancey learned that her pharmacy benefits had been contracted out to Caremark. With pressure from her employer, Caremark agreed to pay for Eve's injection. The drug worked so well at reducing inflammation that Eve's last hearing test showed she had recovered some of her hearing in her left ear. Now Yancey is wrestling with the specialty pharmacy to refill her prescription. "When I called yesterday to order my daughter's next dose, they said, 'We can send you the supplies to compound the drug yourself, but not the injection.'" Yancey is losing patience, and says if her daughter winds up in the hospital again because she can't get her drugs, "I'll hire a lawyer and sue for damages." An estimated 9.2 million adults were contacted by a collection agency in 2010 over a billing error, according to the Commonwealth Foundation. Claims denial rates vary by insurer, ranging from 6 percent of all claims to 40 percent, showed a 2010 study by the Government Accountability Office (GAO). Most denials, if appealed, are reversed in the consumer's favor, the GAO found.